Dry: 705 lbs, Wet: 3,705 lbs. 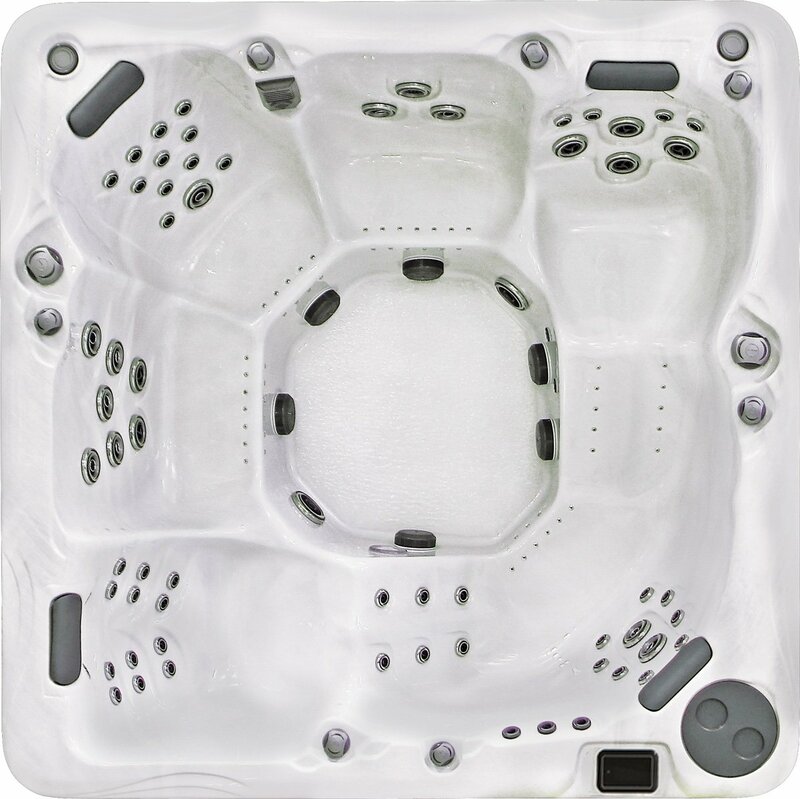 One of PDC Spas' most prestigious and popular hot tubs, the Reno luxury hot tub spa features a square design with spacious seating that can accommodate up to six. It measures a commanding 7'2" on all sides, which provides the perfect amount of space for the Reno's six seats. This includes three deep-contoured buckets, two extended lounge seats, and an extra-wide bucket seat. You power on the jets, everything changes, as the surge of targeted jets massage and soothe away aches you didn't even realize existed. 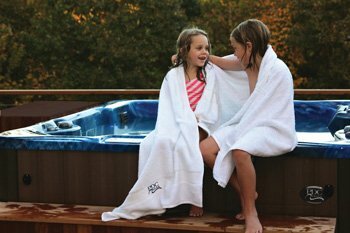 With an uncompromising 66 hydrotherapy jets and over 50 air massage jets, the Reno is what lesser hot tubs aspire to be. Among its many standard premium features are MotionGlow™ hot tub lighting, Cascading water spouts, TemperLok™ insulation and a 35-year structural warranty. Get even more from your Reno hot tub by adding features such as SoundStream™ music, in-Touch wireless or in-Clear Sanitation systems.